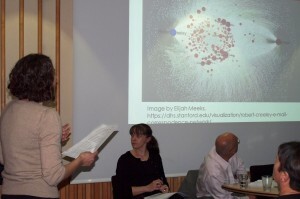 Thanks to everyone who made our symposium on cataloguing literary archives such a success last month. For those who weren’t able to make it, a number of the papers are now available (on the Minutes & Papers section of the website). We hope to add more of these to the site in the near future.